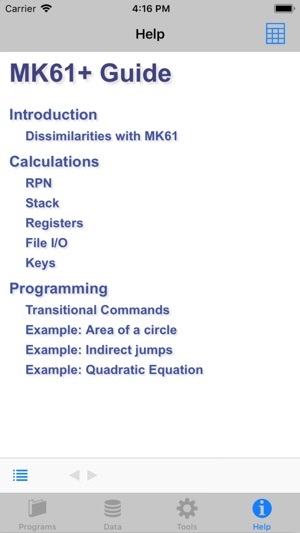 The MK61+ application is an advanced programmable RPN calculator. It has powerful features and easy to use at the same time. While the app is based on Electronika MK61 calculator, produced in 80-90s of the last century, it is not an exact emulator of its prototype. It was created with intention to get a handy tool to use on daily basis. So, some extra functionality was added, that was absent in the original calculator, some quircks of the original MK61 were fixed. • Authentic look and feel. • Good balance between powerful features and simplicity of use. • All-encompassing help system including Quick Help and Calculator Reference. • Quick State panel to get insight into calculator's state. • Ability to save and load programs. The programs can be loaded at arbitrary address in memory. • Rich capabilities to create and edit programs in Program Code view. • Support for input and output operations of data files. • Operating stack with 5 registers and 15 indexed registers to store intermediate results. 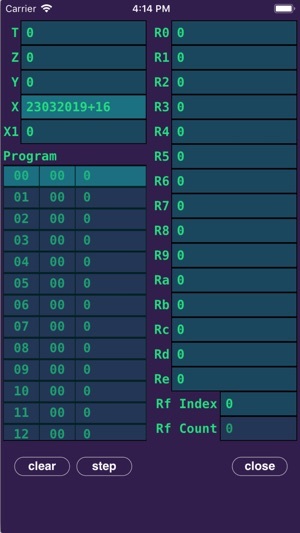 • Program memory with 160 cells, that is more than enough for most practical tasks. • Rich set of instructions including ones for subroutine calls, jumps, loops and their indirect counter-parts. 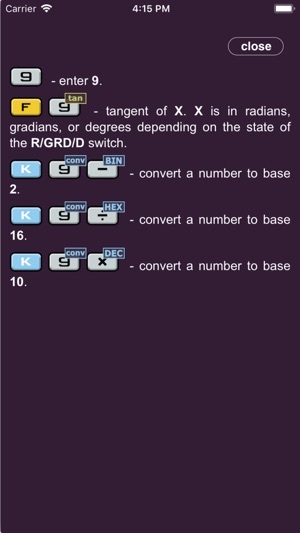 • Support of hexadecimal and binary numbers (such numbers can contain up to 10 digits). 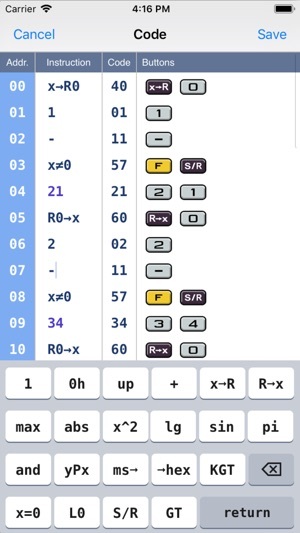 • Copy-paste operations with a quick tap on the calculator display. Bug fixes and updates to latest iOS. 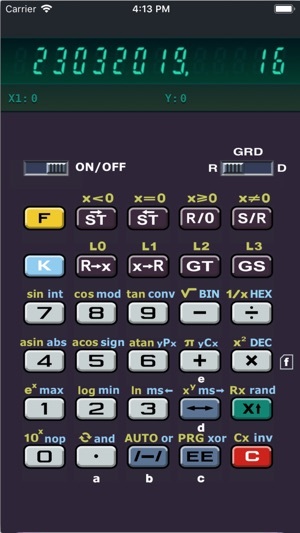 One of my favorite RPN calculators. Good looks, simple display basically shows X-register, but entire contents of stack and memory are easily accessible. Easy to program, with comprehensive instructions built in. Has a relatively light memory footprint, good for devices that are short on memory. Keyboard is a little disconcerting at first because it doesn't appear to have an enter key, but it's there - it's just labeled X with an up-arrow next to it. A little different from traditional RPN calculators but fun to use and all the same functionality is there. I bought this app and own several real MK-61 calculators and an MK-52. This is a very good reproduction, albeit in English. Some things that I notice right away are that the red Clear button on my real MK-61 is Cx, which clears all the way F-C on this app behaves. Also the addition of Bin Hex and Dec features on this app. I wonder if there was a version of the original calculator that had these features (which makes the app a little nicer to use). Anyway this is a very cool app. Thanks! Thank you! If you make MK-52 I'll buy without hesitations!